The unique Guiso Museum is situated in Orosei, within the ancient district called Palatzos Vetzos, which is home to most of the town’s old noble palaces. Thanks to a gift from Don Giovanni Guiso, who was born in Orosei in 1924 and died in Siena in 2006, and to his love of art and culture, Orosei plays host in the heart of its oldest district to a truly unusual museum. On display at the Museo Guiso is the largest collection of European puppet theatres, which constitute the main body of the exhibition. Here you can admire fascinating puppet theatres made in Italy, Germany, France, Britain and elsewhere. This museum is housed within a historic 17th-century palazzo, remodelled by the famous architect Vittorio Gregotti. It envelopes you in a sober atmosphere, but without any hint of austerity. 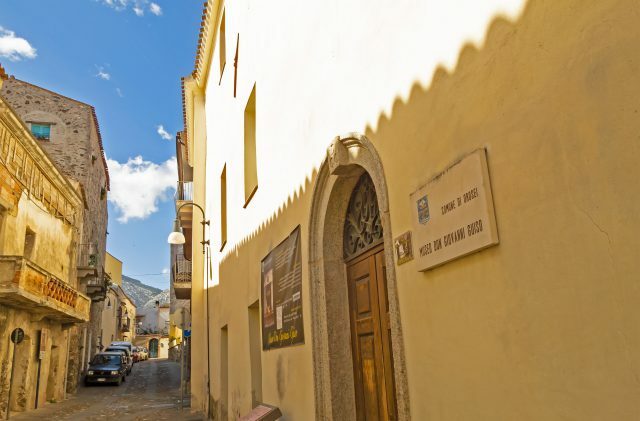 With its many puppet theatres, the “Museo Don Giovanni Guiso” takes you on a journey through the Europe of the past, offering up culture and entertainment at the same time. The museum also includes significant 20th-century works, a singular collection of clothes and costumes dating from the 1800s to the present day, and other valuable pieces. Opened in 1 January 2000, the Guiso Museum is very much worth a visit!